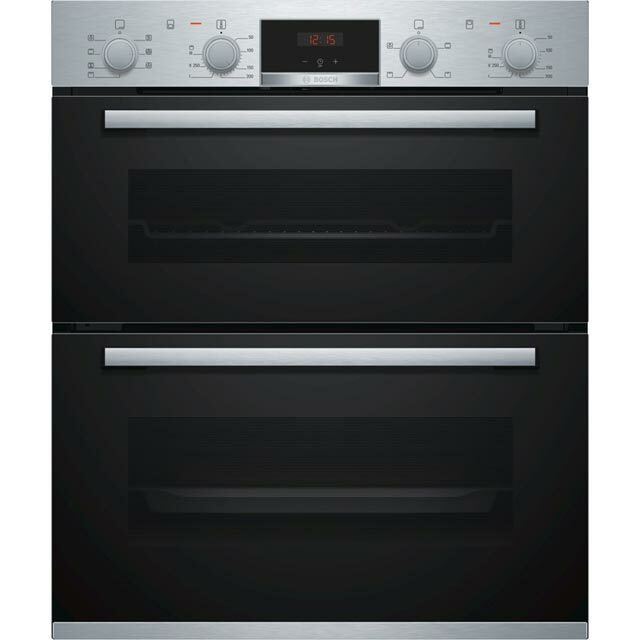 Dust off your apron and get your oven mitts ready with this stainless steel built under electric double oven from Bosch. 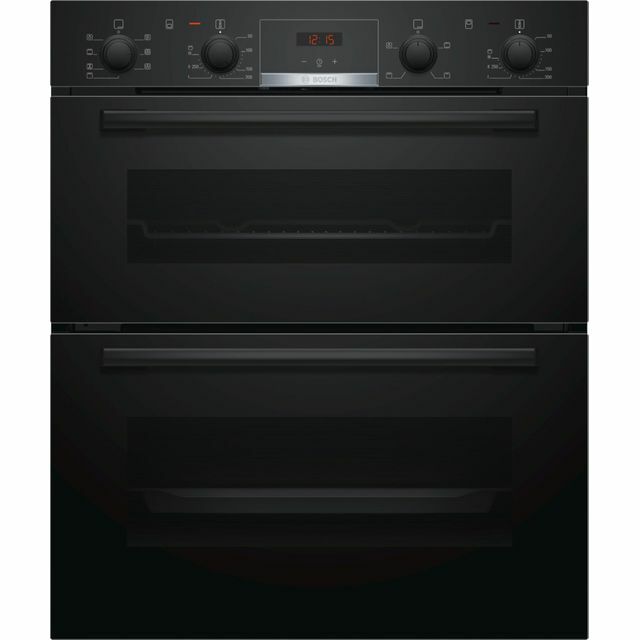 The main multifunctional oven gives you a range of cooking options to help you perfect every recipe. 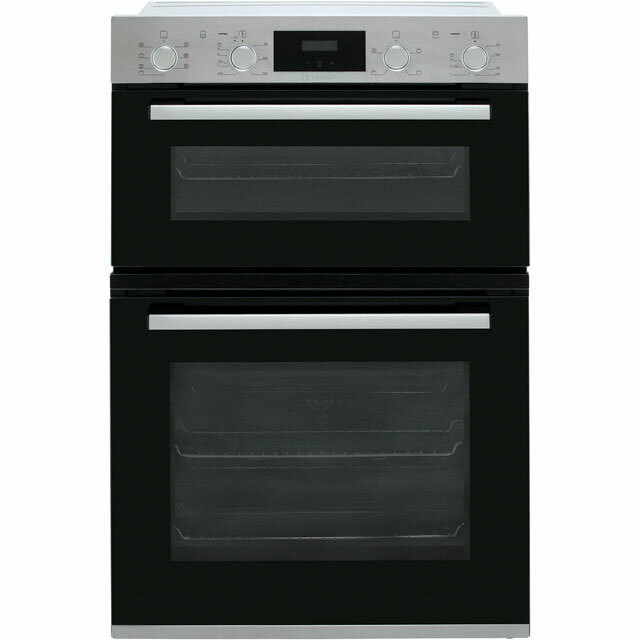 It also has a second conventional oven with a handy grill setting, which is great for adding a beautifully golden finish to your dishes. With the clever 3D Hot Air system, heat is evenly circulated inside to make sure your meals are thoroughly cooked on every shelf – so every joint of meat will be lovely and juicy. The EcoClean Direct interior absorbs greasy splatters and burns them away as you cook, so when you’re finished creating your masterpiece, it will only need a quick wipe. This model is designed to fit under a worktop. Range of cooking options, heats up quickly, cooks evenly and is easy to keep clean. Excellent on time delivery, easy to remove packaging. Installation instructions straight forward, removal of electrical cover was a little awkward. Overall very happy with the service and product. Good looking oven that does what it says. Easy to read dials. When oven not on .. without light on harder to see to clean. Overall really pleased with purchase.